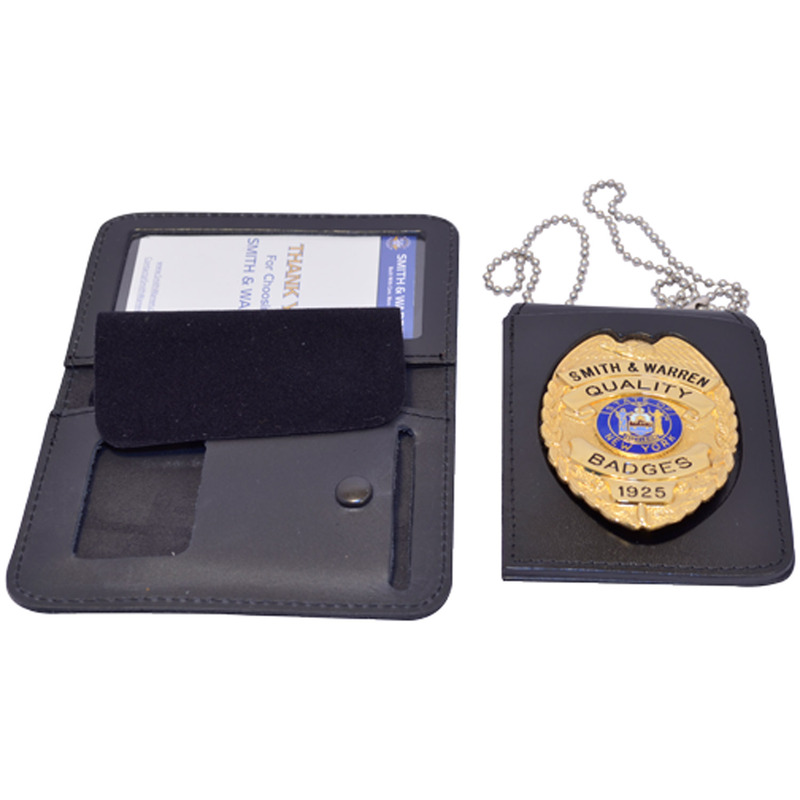 Duty leather multi function single ID and badge case. 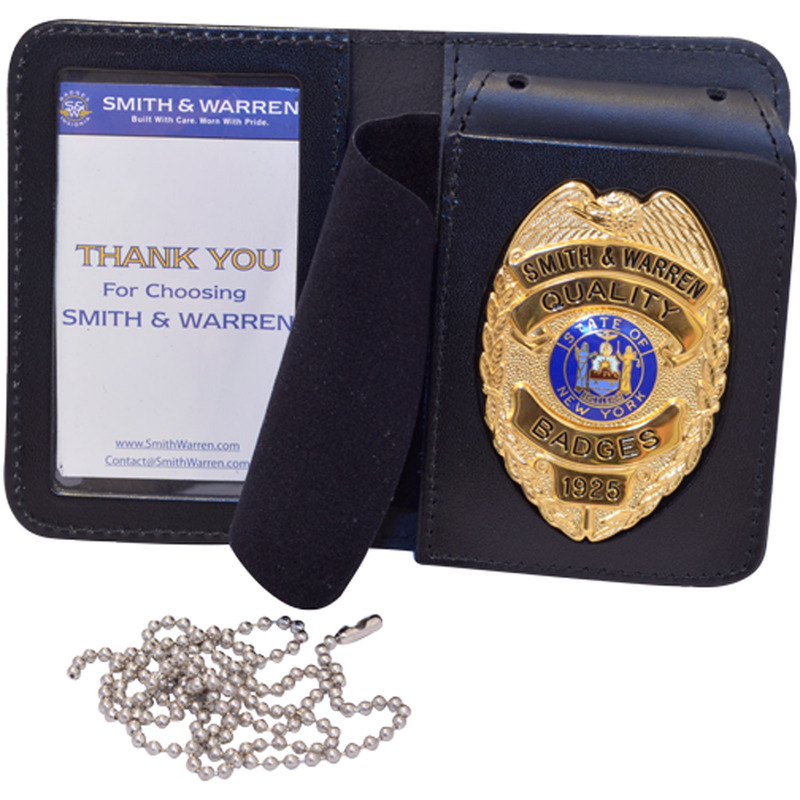 Case is made from top grain leather, and custom cut to fit your Smith & Warren badge. 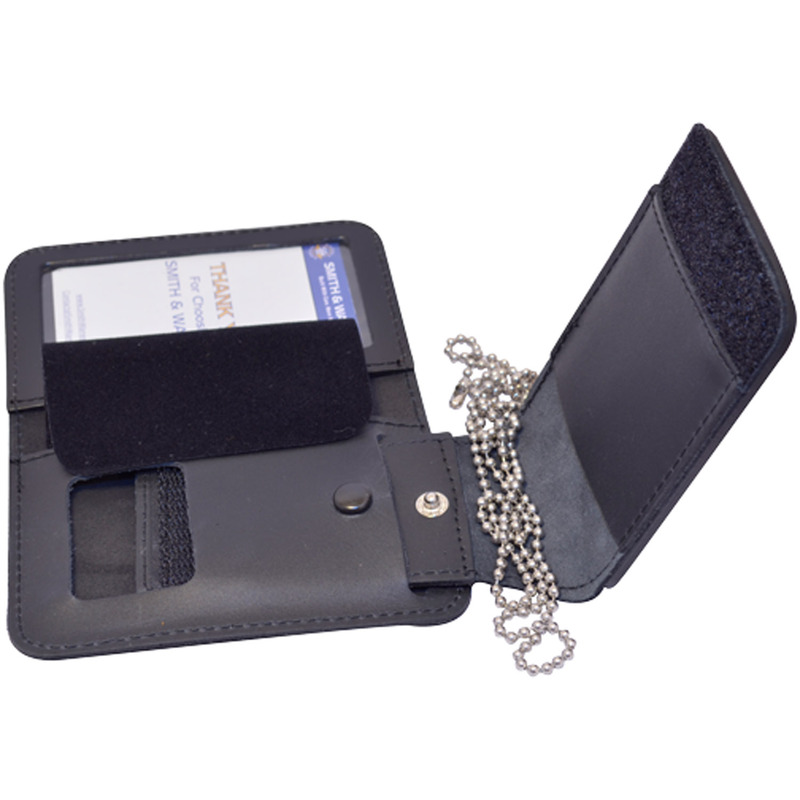 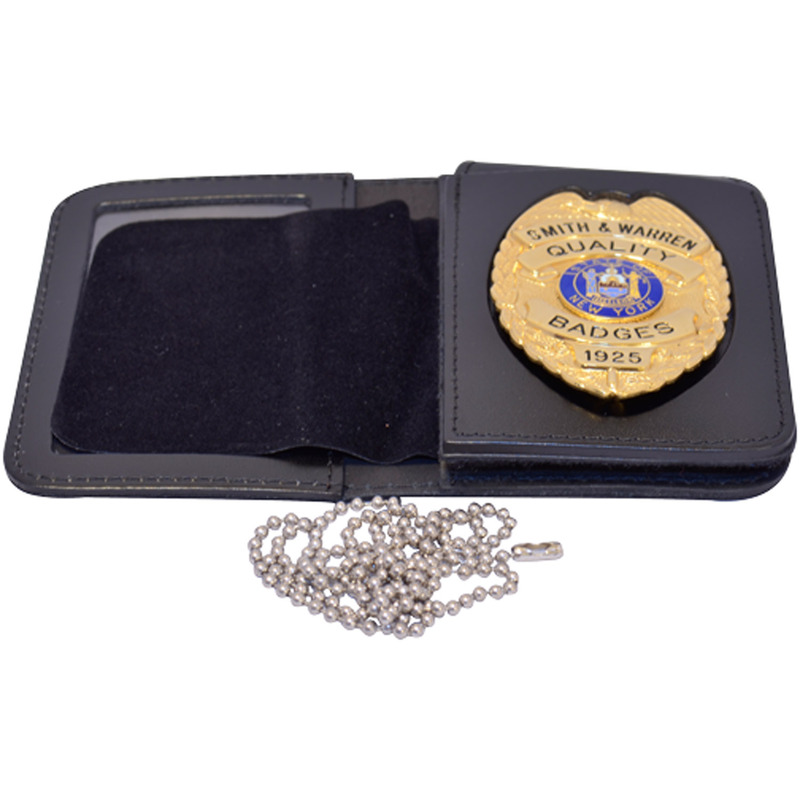 Case includes a removable badge section with a 30" chain for maximum versatility.